Today we celebrate Fiesta Friday with a Fiesta Lasagna. 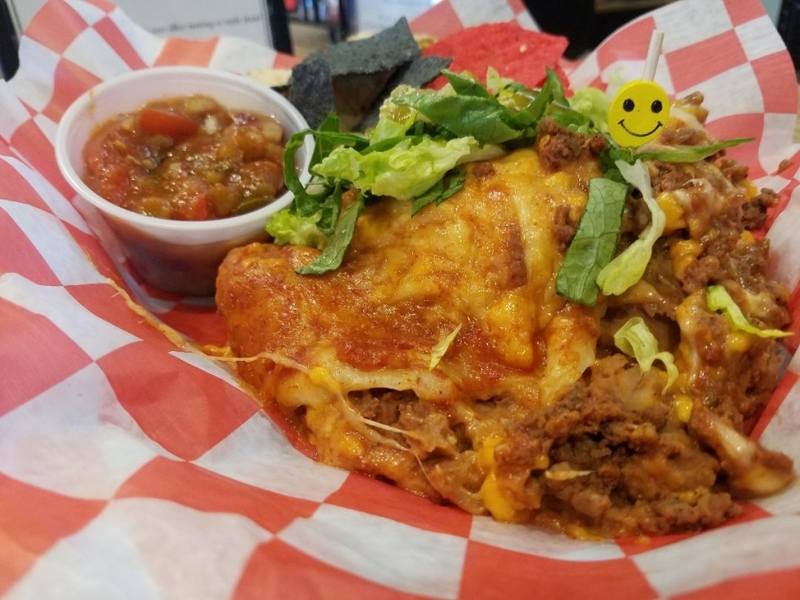 We have layered flour tortillas with red enchilada sauce, re-fired beans, chorizio and seasoned ground beef, cheddar and queso chihuahua cheeses topped with shredded lettuce and diced tomatillos served with a side of Deli house made salsa and tri-colored chips, $8.75. Our soups are the Tomato Basil, Chophouse Style Potato, Chicken with Kale and Quinoa along with our favorites of Chili, Chicken Noodle and Lobster Bisque. Have a great Fiesta Friday Dayton!